Award-winning fundraiser and Social CEOs winner, Nikki Bell, will share her proven methods for nonprofit video storytelling, capturing and sharing self-shot, smartphone video in fundraising relationships to raise more money. 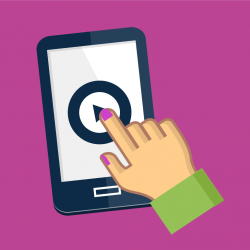 By 2020 over 80% of online shareable content will be video, is your organization ready? Thanks to today’s technology it doesn’t cost a lot to keep up with evolving trends, and with the right tools, everyone from your fundraiser to your CEO can become a communication pro, sharing great videos that tell your nonprofit's story well, and we'll show you how! In this nonprofit webinar, Nikki will share replicable, low-cost & low effort ways that you can become a nonprofit video storytelling pro. With existing video examples and a live edit on the day, you’ll see video in action and be inspired to make your own!